Join the prayer of the Congregation delegates. This is the text of the morning prayer for November 3, 2016. 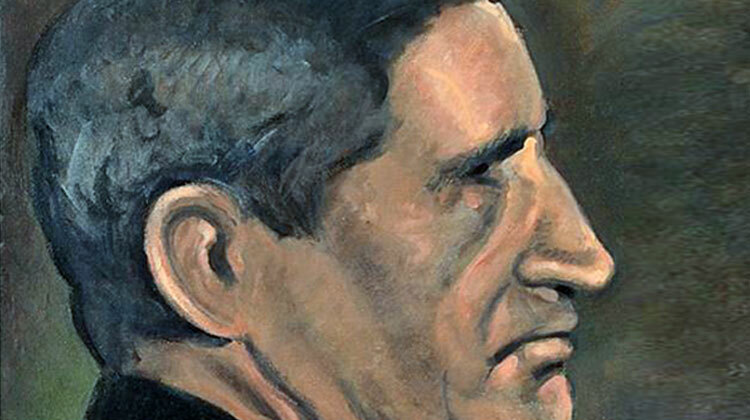 Today we celebrate Blessed Rupert Mayer, a German Jesuit who lived and worked mainly in Munich. In his town he was well known as helper of the poor, as a brave preacher against the Regime of the Nazis and as a defender of the freedom of the Church. For this he was arrested and imprisoned by the Gestapo, and then sent to a concentration camp. Later he was transferred to a benedictine monastery and placed under house arrest. His boldness especially attracted men who came in huge crowds to listen to his sermons and to go to confession. After the war, in 1945, he resumed his work and while preaching at the Mass of All Saints, he suffered a stroke. Because he had a wooden leg (he lost one leg in the First World War) he did not fall. Later, people started to say: “Even death could not bring down Father Mayer!” He is an example of courageous faith, deep hope and abundant love for the truth and for the people. O God, you made your priest Blessed Rupert a steadfast confessor of the faith and a servant of the poor. Through his intercession, raise up in your Church fearless heralds of the Gospel, and give us all a heart open to the needs of others. We ask this through our Lord Jesus Christ, your Son, who lives and reigns with you and the Holy Spirit, one God, for ever and ever. Amen.